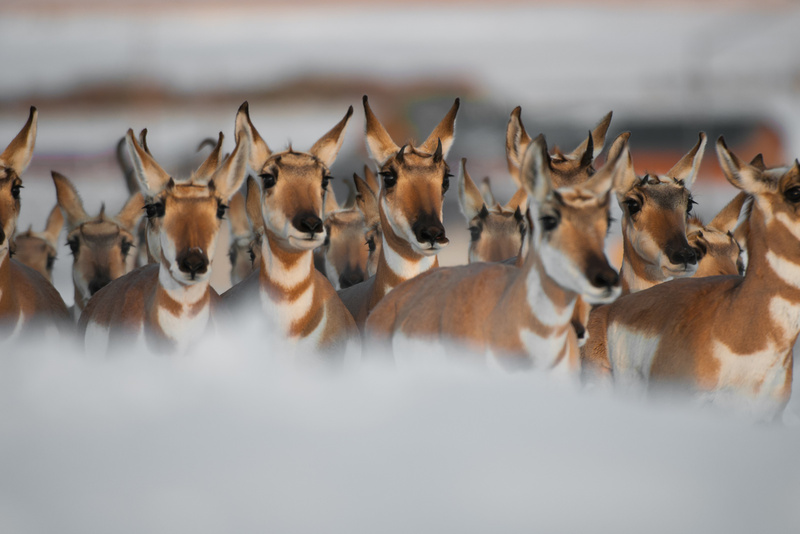 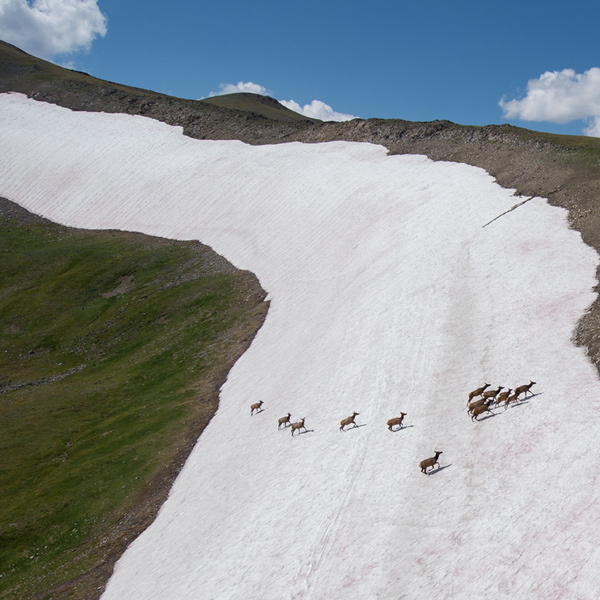 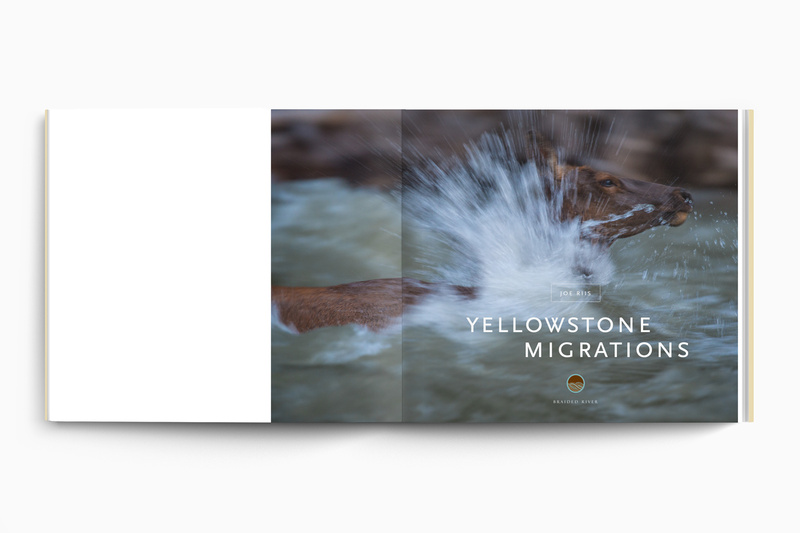 Thousands of animals migrate through the Greater Yellowstone Ecosystem each year to graze and give birth in a fascinating–and often hidden–spectacle of natural beauty. 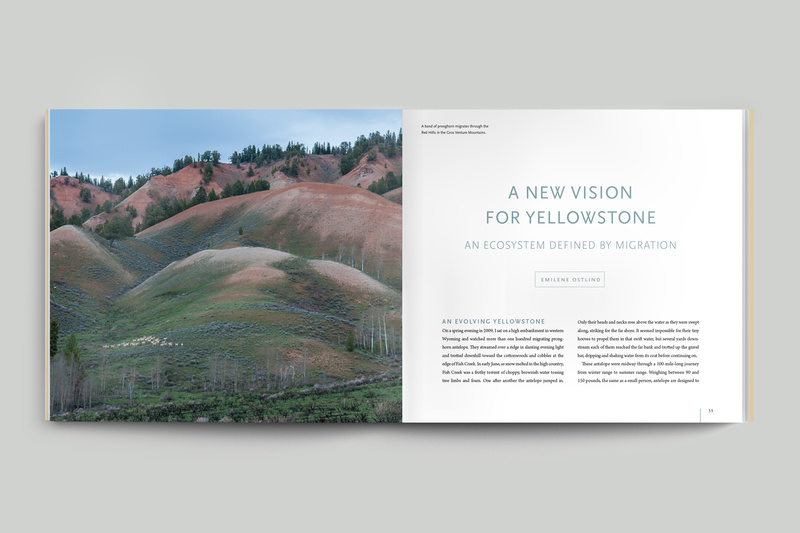 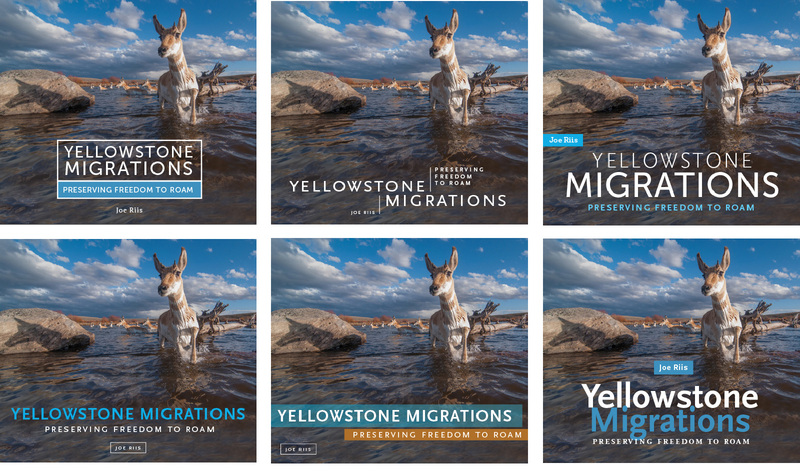 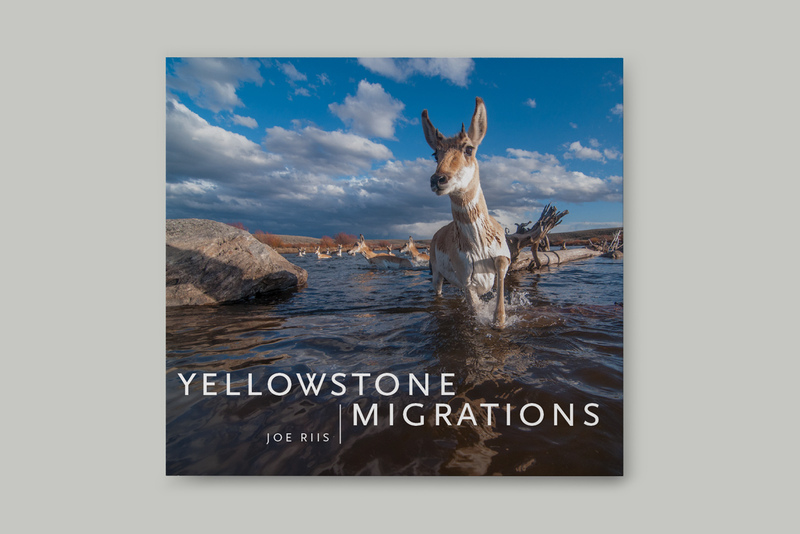 Yellowstone Migrations tells the story of these great migrations through breathtaking photography by National Geographic wildlife photographer Joe Riis and the insights of leading wildlife ecologists. 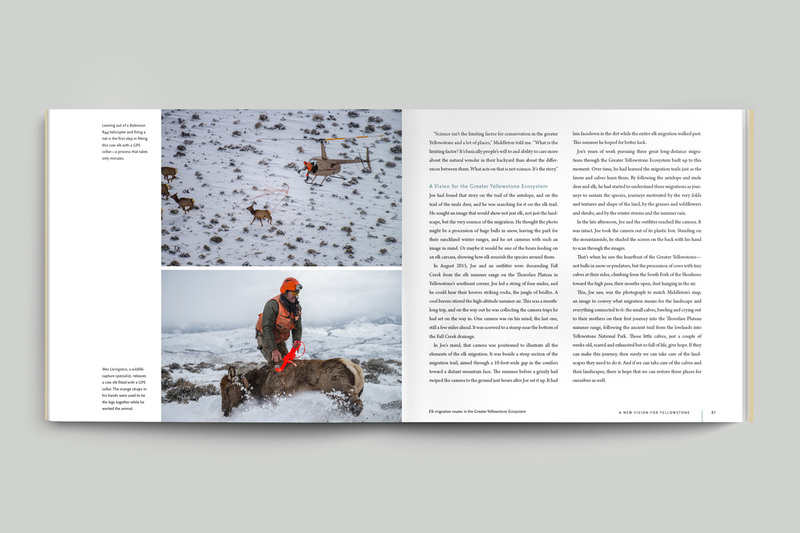 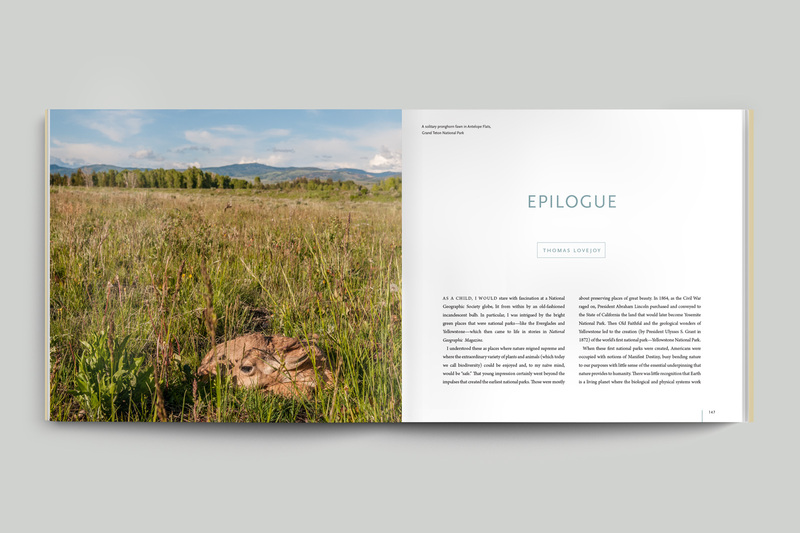 I was approached by Braided River to design the pages, cover and dust jacket. 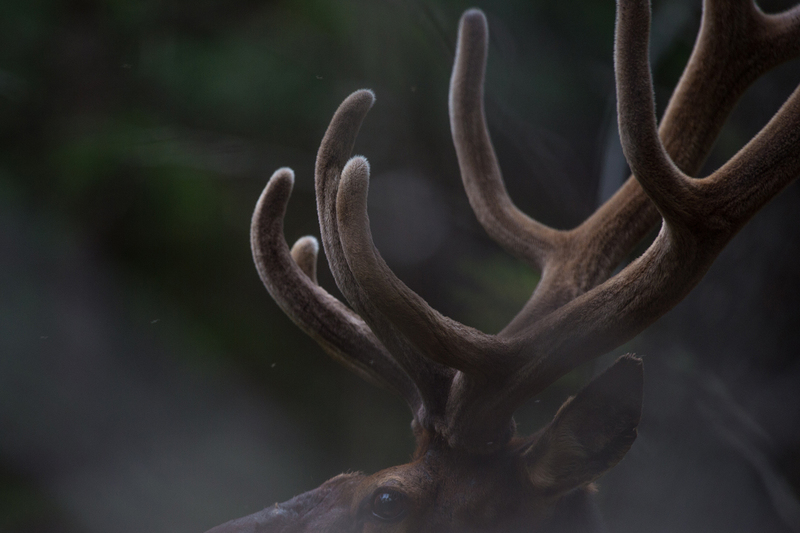 Working with such incredible imagery, I wanted to make the photographs appear larger-than-life. 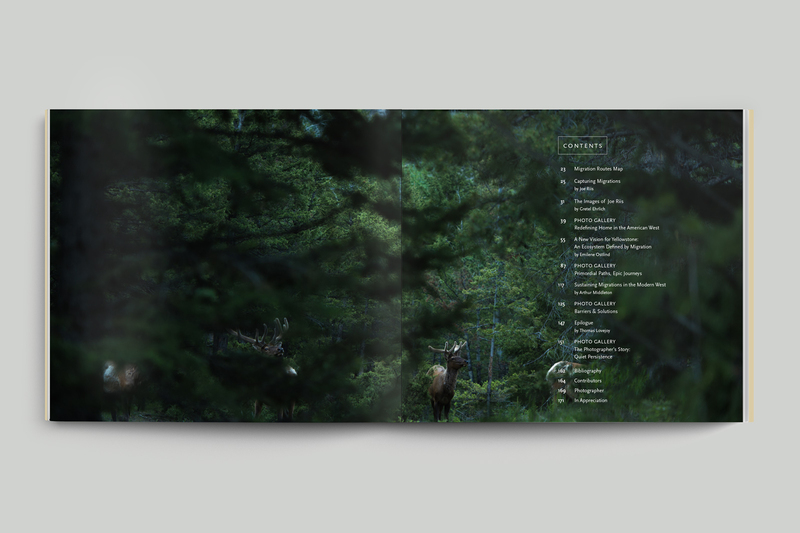 I immersed myself in this beautiful world while working on the book.